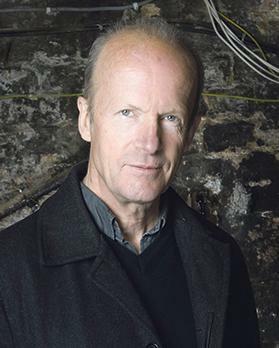 Jim Crace, winner of the Windham-Campbell Literature Prize, the Whitbread Award and the James Black Tait Memorial Prize, will be returning to Malta for the local launch of his novel The Melody, published earlier this year. The event will take place today at 6pm at the Arts Lecture Theatre of the University of Malta Msida Campus. Crace will speak about The Melody’s connection with Malta and about its roots in his time as writer in residence on the Creative Writing Programme of the Faculty of Arts in 2014. He will also participate in a book-signing session. Born in Hertfordshire, raised in London and resident in the English Midlands, Crace is the author of such acclaimed novels as Quarantine(1997), Being Dead (1999) and Harvest (2013). He has been writer in residence at the University of Iowa, well known for its distinguished creative writing courses, and the University of Austin, Texas, which also holds his archive. His work has been consistently praised by critics for a distinctive style that combines precision and lyricism, as well as for the evocation of complex and intense connections between place and character, loss and redemption – all of which is amply evident, too, in The Melody. The launch of The Melody is open to the public.